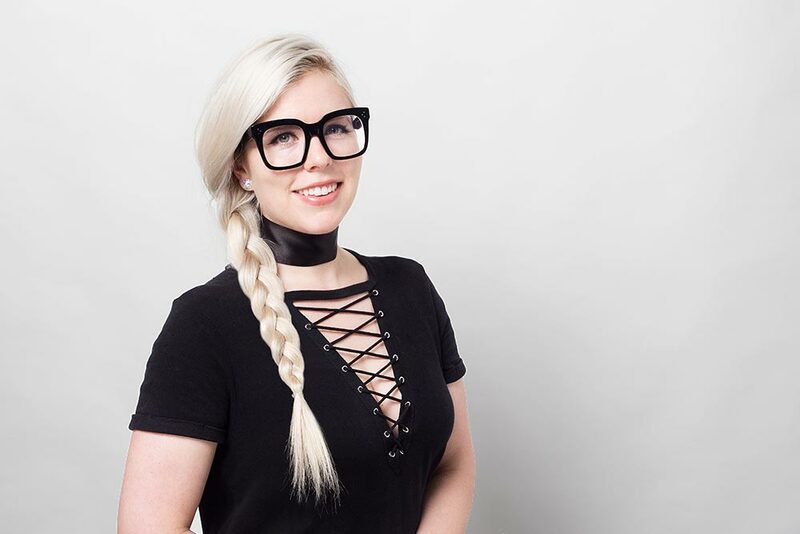 Since working as a freelance artist in both hair and makeup, Meg has been blessed with amazing opportunities at LA Fashion week, various award ceremonies including: the Oscars, Grammys, VMAs and the Kids Choice awards to name a few. Meg has also been commissioned nationwide for various elite weddings, and even flown out to teach makeup lessons in Tokyo, Japan. Her portfolio includes publication on InStyle.com, episodes of Ru Paul’s “Drag Race”, and philanthropic work with Keep a Breast foundation. More recently, Meg founded Meg O’Hare Beauty. An agency for cutting edge artists, each providing a well-rounded skill set of hair, makeup, skincare, airbrushing and much more. Sienna has been working as a makeup artist for the last 9 years. Her passion for all things beauty related has allowed her to learn directly from some of the most respected artists in the industry. Detail oriented, amiable, and professional, Sienna has had the pleasure of working in many areas of the industry making her a diverse makeup artist with a wide range of styles. 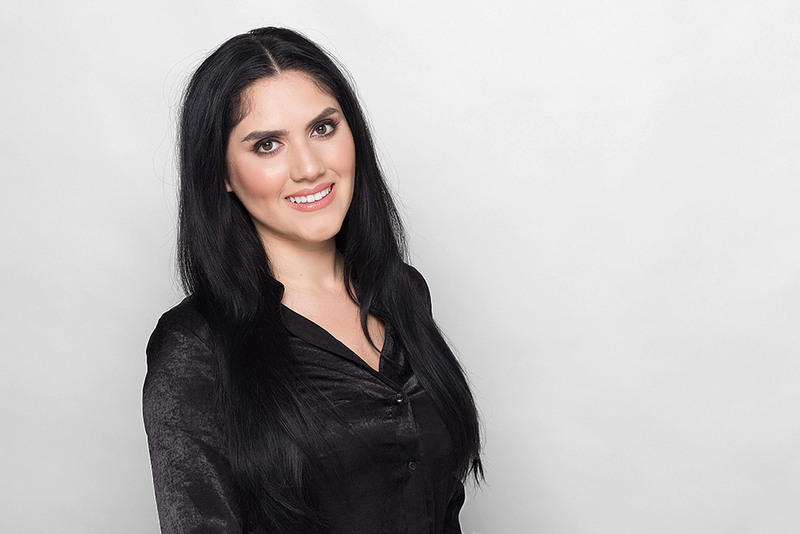 With her strong passion for learning, Samar has mastered her skills through extended advanced training with Vidal Sassoon, Goldwell, and Bumble & Bumble. 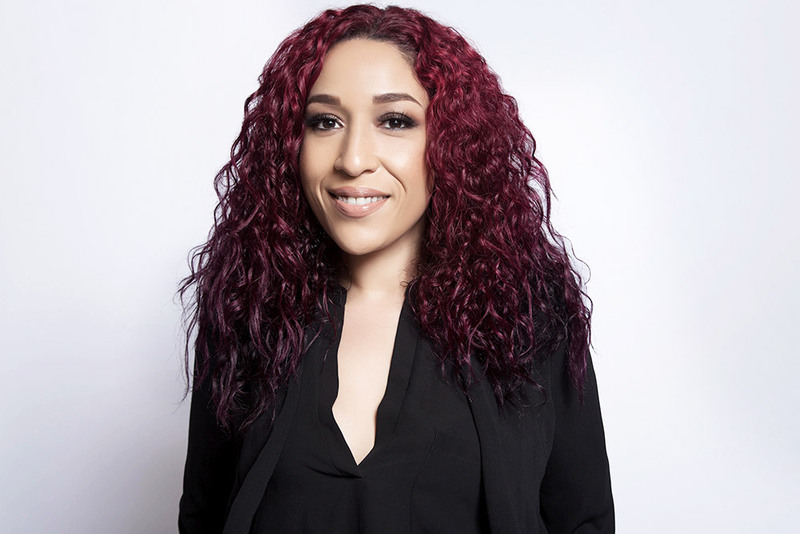 As a Carlton Hair educator for cutting and color courses, she believes in continual education and strives to stay at the forefront of her field. Samar also loves to educate her clients and it shows in her thorough consultations. Every time a client sits in her chair, she hopes to teach them something new about their hair so they can achieve their new salon look every day at home. Having a large and faithful clientele, she strives to surpass client expectations, giving them personally customized looks with above-and-beyond customer service. Hailey has had the honor of using her talents at such prestigious award ceremonies as: The Grammys, The Emmys, The Oscars, and The Golden Globes, to name a few. Hailey has been a part of the Miss Southern California Pageant and is currently working with Miss California contestants on their way to the crown. Hailey was a key artist at the Christmas Land Concert at the Nokia Live Center in downtown Los Angeles for members of the Hillsong team. Hailey has worked weddings all over the entire west coast and she most enjoys when she has a chance to travel to her events. Hailey’s passion is for celebrity, editorial and fashion makeup and is actively working and pursuing her career in film and print with various modeling agencies. Her talents truly shined back stage as other cast mates would admire and seek to emulate the beauty skills she would use to get herself ready for the stage. Continuing in this tradition, Noelle took charge of her college’s dance production back stage for hair and make up. This gave her the drive to peruse beauty as a serious career. 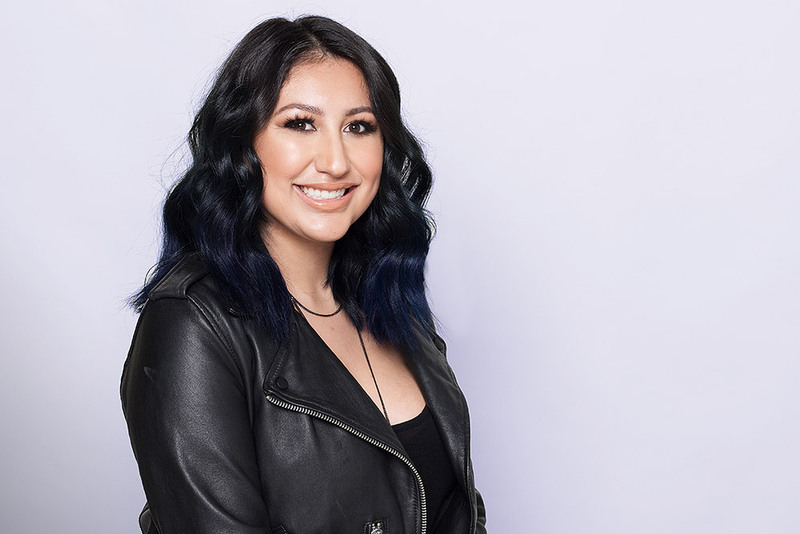 After three years of being a freelance makeup artist, Noelle decided to take her talent to the next level by getting certified in cosmetology through Fullerton College’s outstanding program. She graduated at the top of her class and excelled in all four hair and makeup shows displaying her strengths in bridal, avant guard, hair color/sculpture, and wet hair styling looks. Noelle’s body of work shows her expertise in styling overall beauty and clothing looks. Since graduating, Noelle has gained the trust of many adoring clients doing what she does best; making them look and feel their best. She has also worked with designers, fashion show coordinators, photographers, and a recording artist creating many lasting relationships. Noelle plans to further her career and passion for the trade by learning from her peers at MOB and taking on more events this year than ever before. 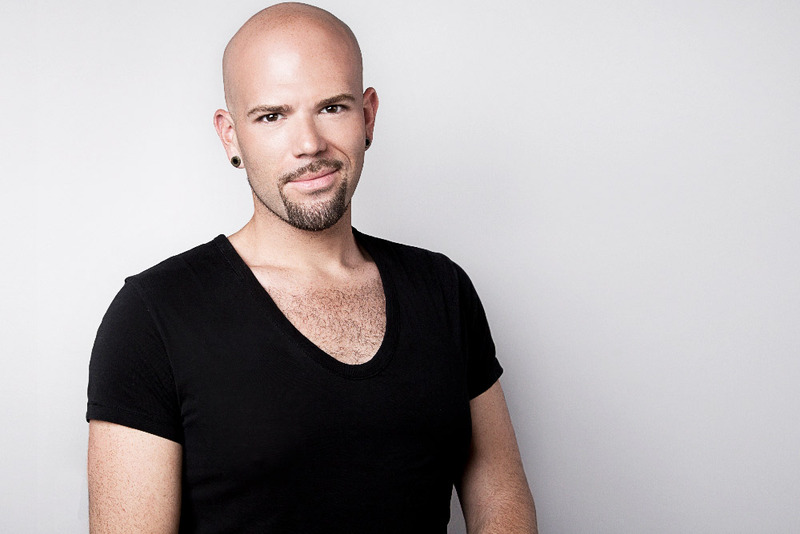 After graduating from Pivot Point, he went on to assist, and eventually become a stylist at the beautiful downtown Chicago (Gold Coast neighborhood) salon, Maxine Ltd. While working at Maxine Ltd., Nicholas excelled through an intensive (Vidal Sassoon method) precision cutting and styling program. Since 2007, Nicholas has worked completely freelance, enhancing his skills in several different areas of the business, which has since landed him in beautiful southern California. He’s built a thriving clientele in Los Angeles where he stays open to and busy with [Meg O’Hare Beauty Scheduled] house-call (full-salon) beauty services, as well as styling hair for various photo shoots, events, productions and charities. Most notably, because of the time Nicholas has spent working with his favorite charitable organization, The Beauty Bus Foundation, he was given the opportunity and pleasure to not only spread the word about this favored organization, but also style and touch-up hair for various entertainment elites before they walked the red-carpet at the 66th (and upcoming 67th) Annual Primetime Emmy Awards Ceremony. Stefanie has over 15 years of experience as a professional Hair Stylist. Stefanie has been a hair educator for 10 plus years specializing in cut, color and styling courses. 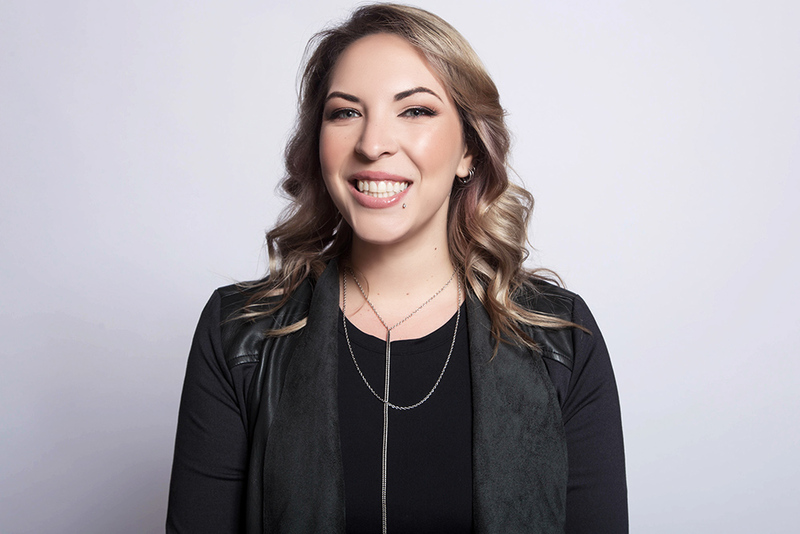 Stefanie is a certified Bumble & Bumble Network Educator, and is a certified hair extensions artist. Stefanie has participated in over 20 advanced professional training courses throughout her career. Such as Modern & Classic Styling Techniques Bumble & Bumble, Creative Cutting- Vidal Sassoon and Sharon Blain- Austrailian Hair Dresser of the year 2014 Bridal Styling Techniques. Some of her notable publications are Syn-Zine Magazine, Boulevard Magazine and LA Confidential. Aubrey got her start working in makeup with MAC Cosmetics beginning in 2010, and worked within the company for almost 5 years. 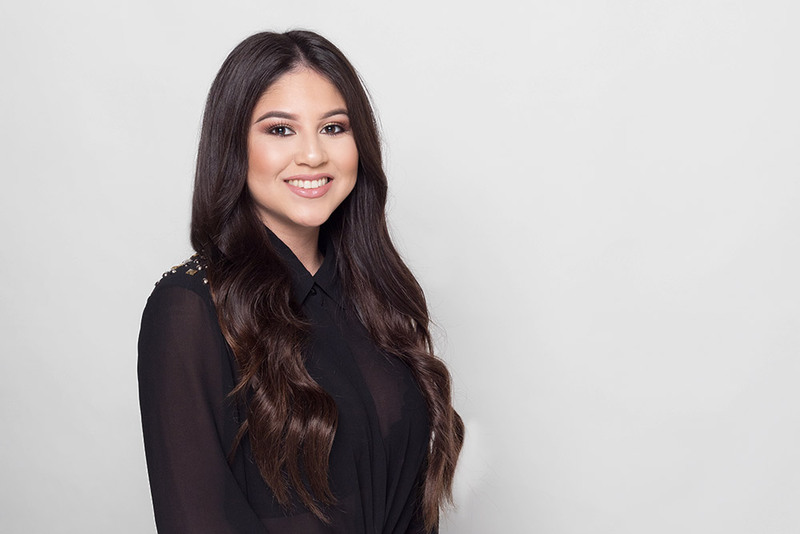 Originally from San Diego, Aubrey has since relocated to Los Angeles to continue her education in Merchandise Marketing and Business Management, while simultaneously pursuing her passion for makeup. Aubrey has utilized her talents in skincare, makeup, and airbrushing at many prestigious award ceremonies, including The Emmy’s and the VMA’s. She loves traveling to different work events, and has been lucky enough to work weddings in multiple states throughout the country. Her mission is to deliver quality makeup services while utilizing her passion and experience. To continually ensure that her clients look and feel both beautiful and wonderful, Aubrey creates a unique look through each individual’s natural beauty, style, and personality. Ashley began her career in beauty in 2012 in her hometown of Lafayette, Louisiana. Her love for all things beauty began at a very young age, and grew immensely through the years. She is heavily inspired and motivated by the late Kevyn Aucoin, a world famous, and unbelievably talented makeup artist from her hometown. His courage to follow his heart and never give up motivated her to pursue her career in beauty. After attending the University of Louisiana at Lafayette, she earned her license in Cosmetology and immediately began working as an assistant at SOHO Salon in Lafayette, Louisiana. It was here she was able to learn and grow as an artist by working with expert stylists and colorists. She earned her own chair within a year where she excelled with haircuts, coloring, and makeup. After working for 5 years, she made the decision to follow her dream and move to Los Angeles, California. 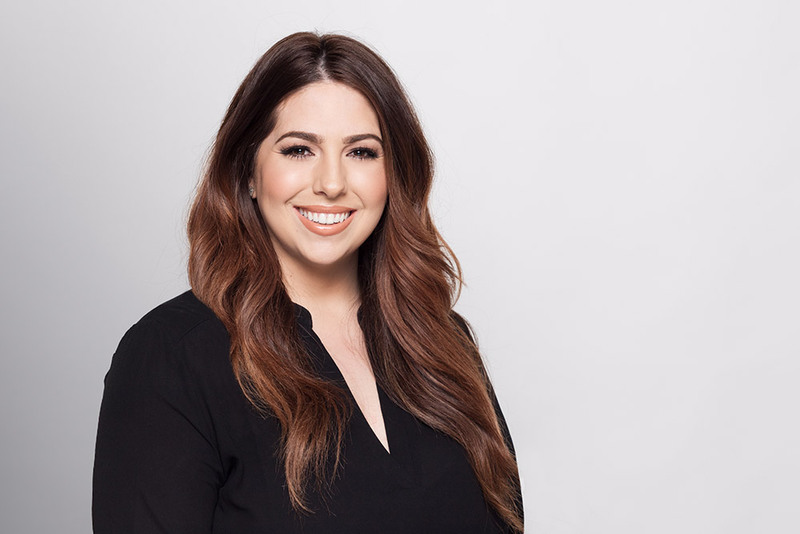 Ashley has continued her education in beauty by attending numerous classes such as the Kerastase Couture Styling class, Red Carpet Beauty with Celebrity Makeup Artist David Hernandez, as well as attending workshops in New Orleans and New York. Since moving to Los Angeles, she has had the opportunity to showcase her work at various award shows such as the Emmy’s, Grammy’s, and Imagen Awards. 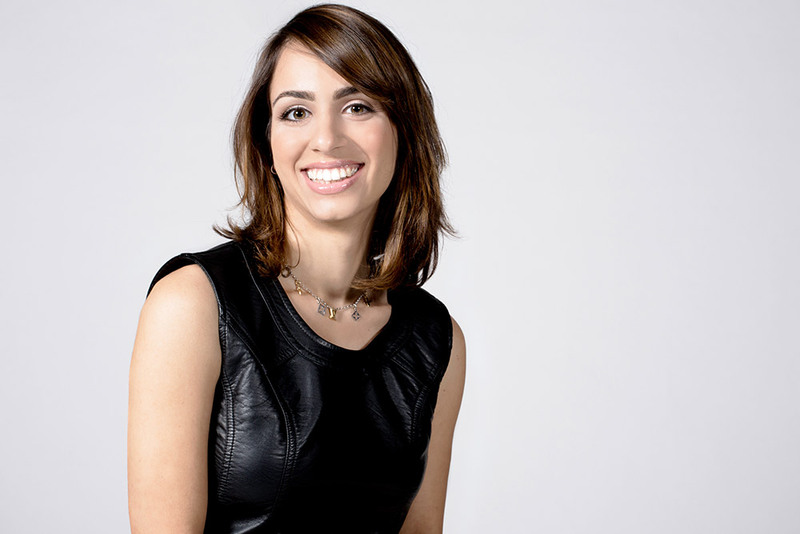 Her work can be seen on celebrities such as Faye Resnick, EJ Johnson, and Roxy Sowlaty. She has also worked with brands such as Forever21 and Topson Downs. Ashley is skilled in Bridal, Editorial, Beauty, and Red Carpet looks. She has always had a passion for not only the creative side of makeup, but for the rewarding feeling of helping someone to look and feel their absolute best. 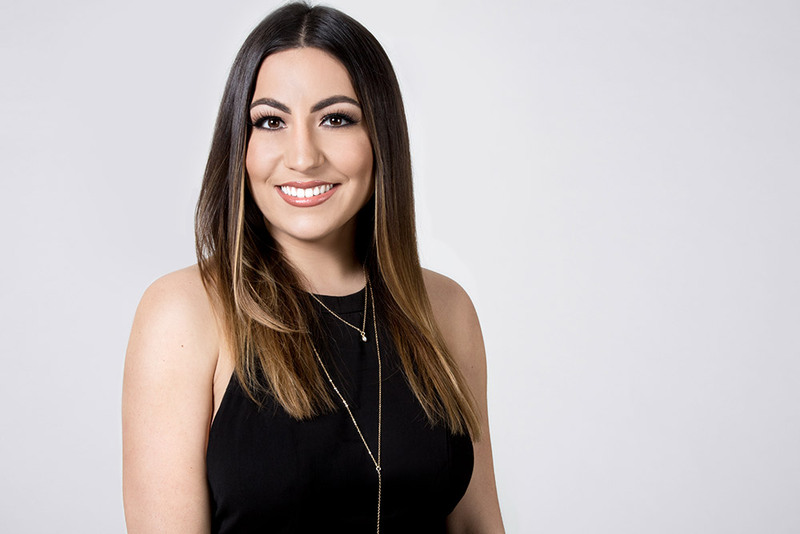 Marissa Tomaino was born and raised in Utah, she knew at a young age she was passionate for the beauty industry. She attended Paul Mitchell in Las Vegas and became a licensed Cosmetologist in July of 2014. Marissa signed with an Agency in Las Vegas as a Hairstylist and a Make-up Assistant, where her love for Make-up grew. She has been on the set of History Channel’s hit show ”Pawn Stars” the past few years along with “Pawnography”. She worked many Weddings, Commercials, and did Ecom with Zappos while in Las Vegas. 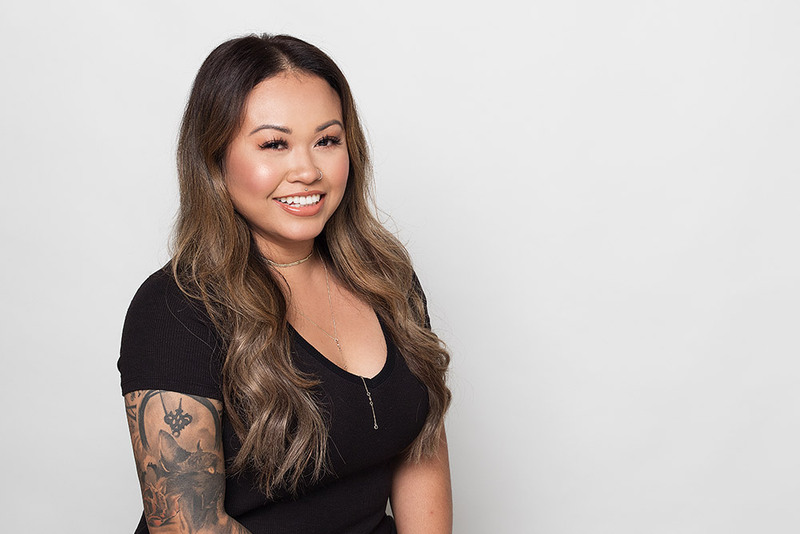 Her passion for the industry in Film and Print brought her to Los Angeles where she attended the school, MUD and became a Certified Make-up Artist. Her knowledge of Beauty, Special FX Make-up, and Hair is what got her to join Meg O’Hare! Since being a part of the team, Marissa has had the opportunity work Weddings along the West Coast, her work in now Published, and she does the Beauty Videos for Forever21 worldwide. Marissa loves her job and feels so blessed to be working in the field she’s in. Her favorite part of her job, is making people feel beautiful in their own skin! She loves the opportunity for growth and building lifetime relationships, as she continues her career. Liz is a licensed cosmetologist for the past 6 years. She started her career with MAC cosmetics in 2011-2017 and is now making her way with MOB. Liz has a strong passion towards anything beauty related. She is a certified make up artist, hair stylist, and lash artist specializing in lash extensions and yumi lash. She is very detail oriented and takes pride in everything she does. Liz has worked with photographers on set, red carpet make up, and various brides. She enjoys making people feel and look their best the most and you can see it in her work. Taary Moy is a Hairstylist and Makeup artist based in Los Angeles. She is a well-rounded artist. She keeps up to date with the latest trends. Taary pays great attention to detail in her craft. Her flawless techniques are consistently admiring. Inspired by the things and people around her , she brings your visions to life. Her work includes beauty, fashion, editorial, commercial, red carpet, celebrities, lifestyle, and bridal. Working with Hair and makeup is Taary’s passion and she loves bringing out the best out of her clients and projects.